As the name suggests, Corporate-owned dedicated device mode is for devices without user affinity. For example, Kiosk devices and hand scanners. 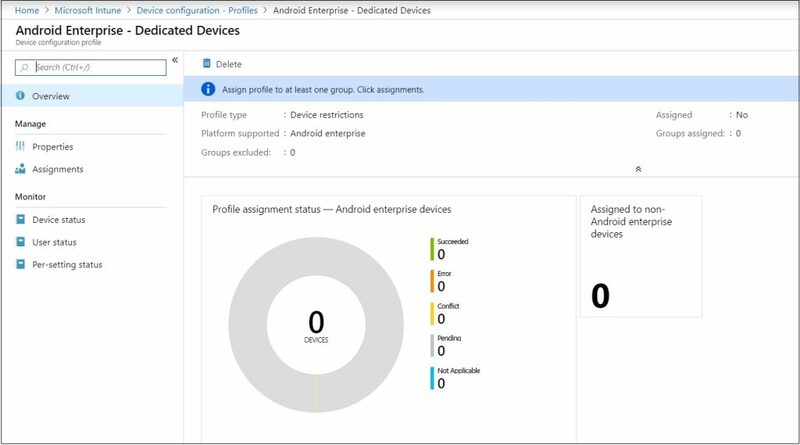 Let’s start with creating the Android Enterprise Corporate-owned dedicated device enrollment profile. 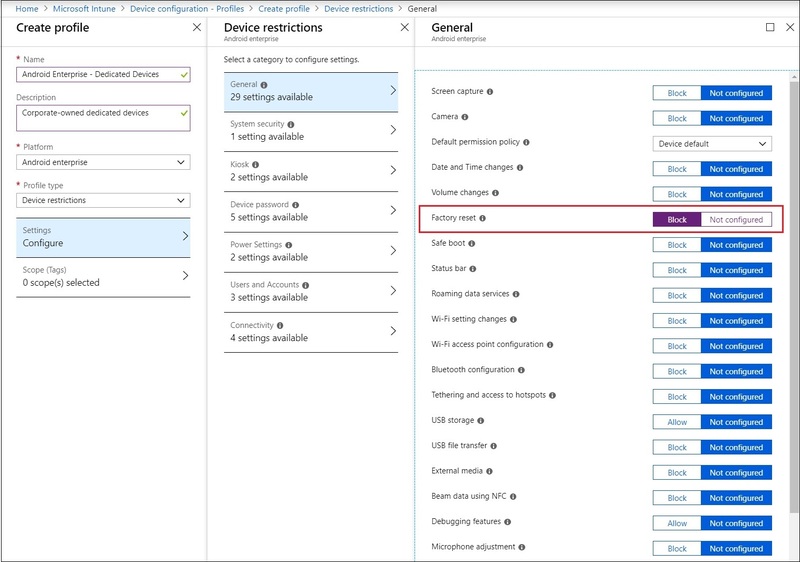 To do this, login to the Microsoft Azure Portal. 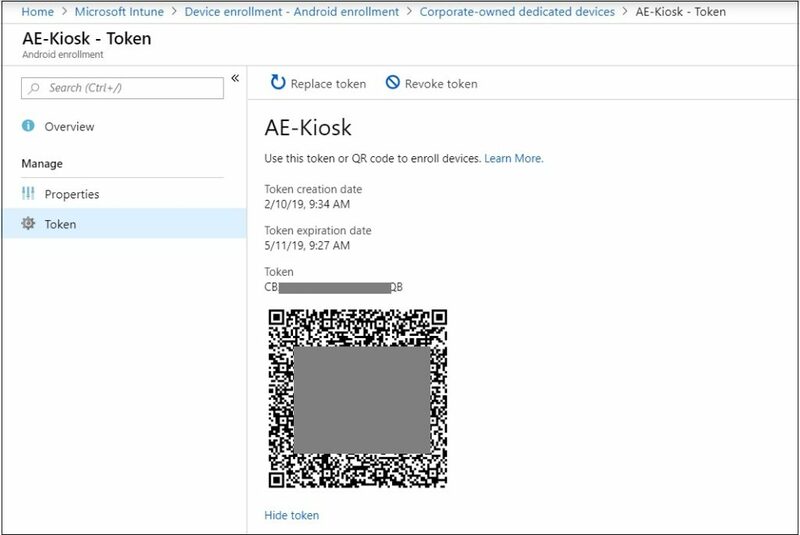 This token is needed when enrolling the Corporate-owned dedicated devices. 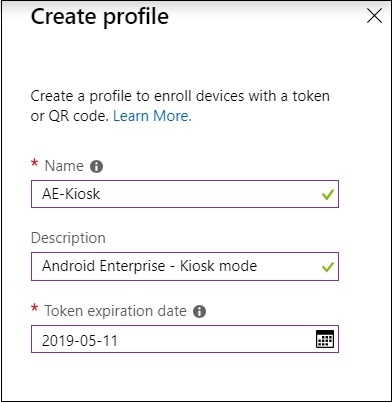 Second step is to create an Azure AD Dynamic group to scope the Android devices that are enrolling with the token from step one. 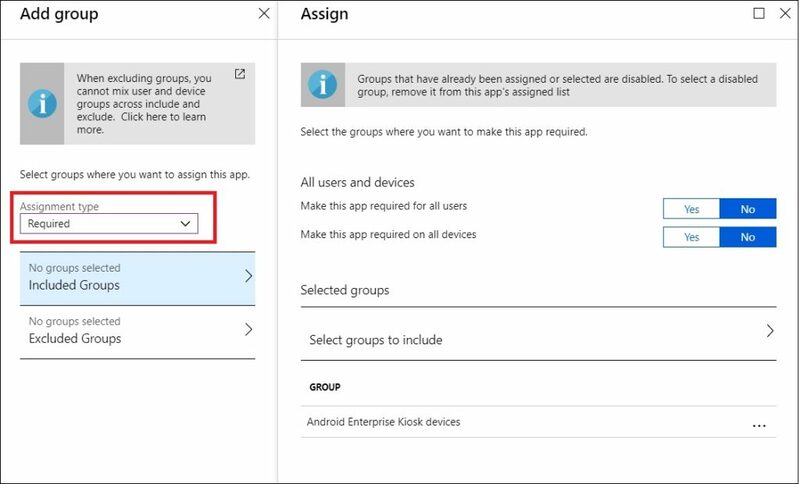 All policies (profiles) and applications needs to be assigned to this group. Select Security as Group type. 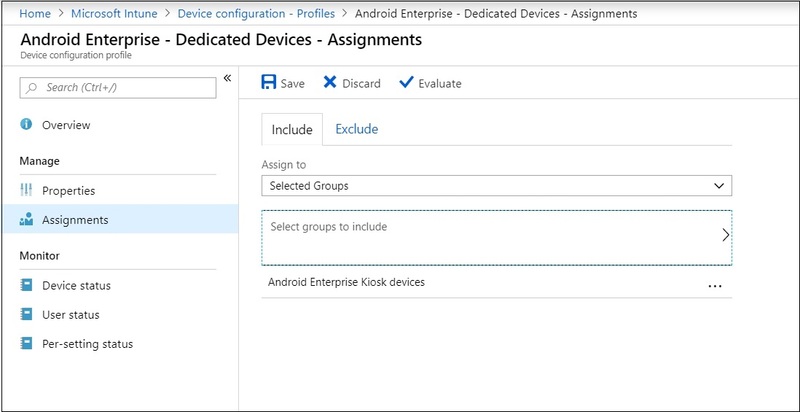 Give this group a name and description and select Dynamic Device as Membership type. Add devices where: enrollmentProfileName – Match – And then the name of the profile created in step 1. In my case this is AE-Kiosk. 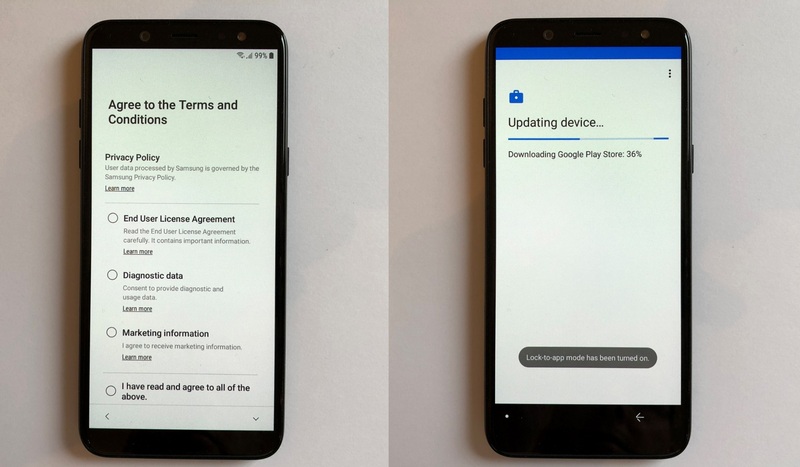 To publish applications to Android devices that are in Corporate-owned dedicated device mode, Google Managed apps needs to be assigned as Required to the group created in step 2. For this blog I will assign Microsoft Edge as a required application. For step-by-step instructions on how to publish Google Managed apps, see step 2 in this blog. 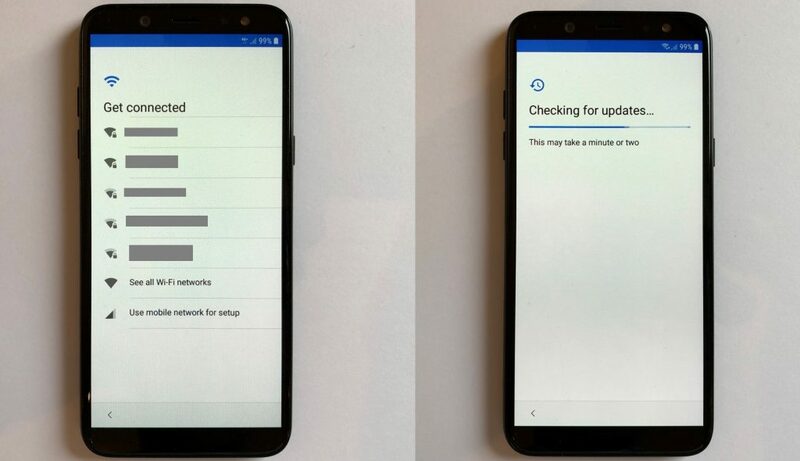 An Android device in Corporate-owned dedicated device mode is already pretty locked down. 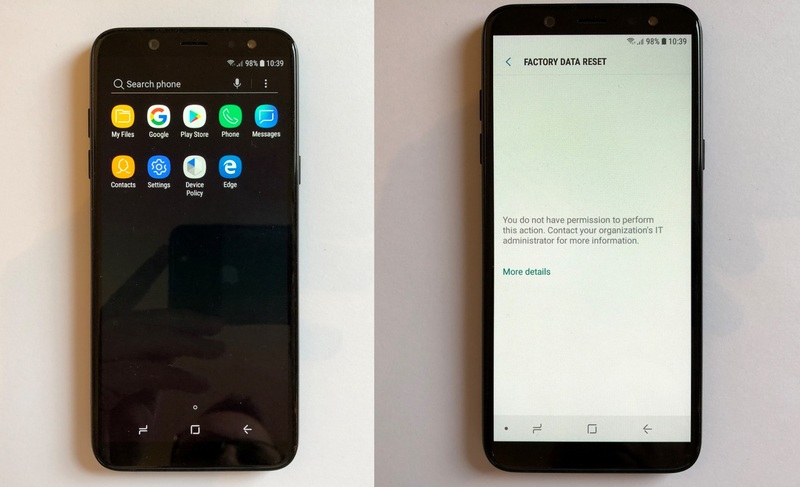 There is not much a user can do on the device other than starting the published applications (and make phone calls if it is a phone). However, there are some possibilities the user can do that maybe you want to block as administrator. 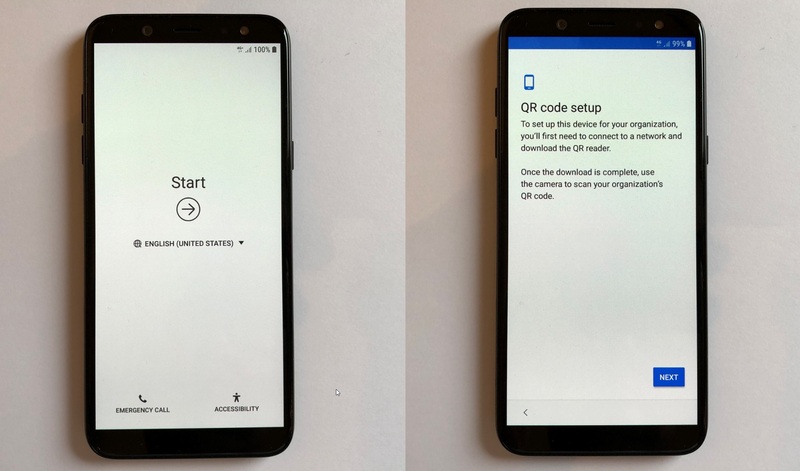 Examples are use of the camera and performing a factory reset. 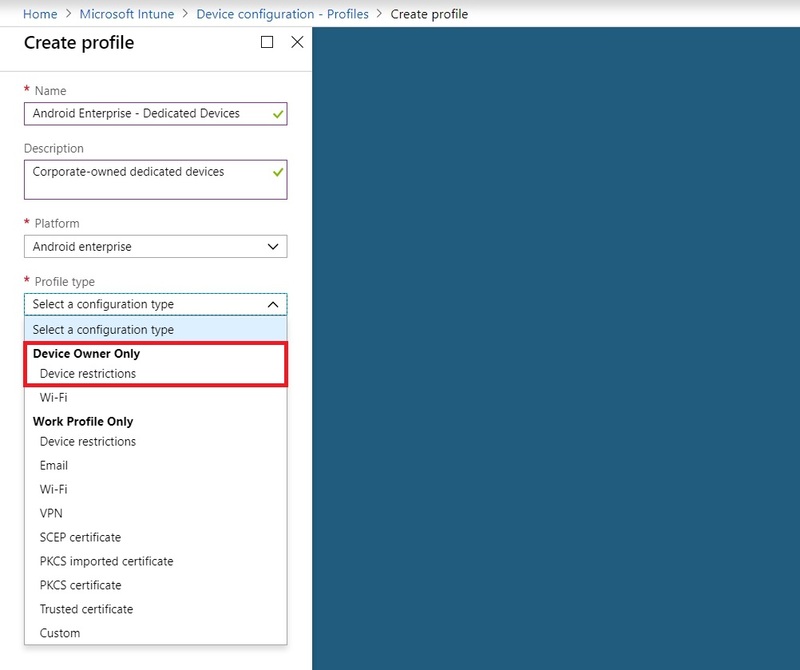 Fill in a Name and a Description and select Device restrictions (Under Device Owner Only) as Profile type. Click Settings and configure the settings that apply to you. For this blog I will Block the Factory reset. Click OK and Save. 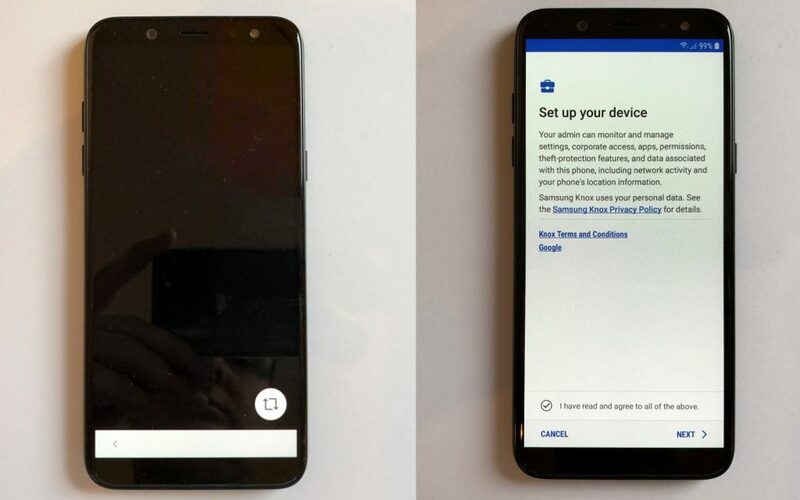 Lets test the results by enrolling a new Android device. Left: As you can see, only some basic apps are available like the Phone, Contacts and Settings. As you also can see, the Microsoft Edge browser is installed. Right: It is not possible for the end user to perform a Factory reset, this indicates that the Restriction policy is applied successful.